There are always trade offs with optics and it’s really hard to know for sure if something is right for you unless you’ve gotten good references from a friend and put some trigger time behind an optic. We deal with the same issues our customers due when we are thinking about bringing in inventory, and since it’s our job to try to answer questions and point out option they should consider, we’re endlessly researching product based on what we find on the Internet in the form of, Blogs, Product Reviews, and Youtube.com. 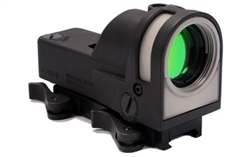 Since we have over 30,000 tactical store products, and the optics part of it is easily in the thousands if you lump the hunting optics in with the tactical rifle scopes and AR15 red dots and other Rifle and Handgun Optic systems. Technology is always improving and there are always different generations that have production features or designs that can make or break it for what you want. If you are considering a red dot, zero magnification combat optic, the Mako Meprolight M21 Optics have moved up on our AR15 and M4 Carbine stocking product line. Look for Meprolight M21 Sights to be in our showroom this fall because not only are they in the same price as the Aimpoint Red Dot Sights, they have features that definitely give you “another option” with possible advantages over their competitors. I recently watching a product review on the Eotech vs Aimpoint Vs Trijicon Reflex and the MSE once the reviewing scored up all of the pros and cons between those 4 optics, they were all very similar but field of view, battery life or no battery needed were the differences. Reticle options was a big one for me and I still always come back to Eotech until I got to check out and use the Meprolight M21 Optics with the Bullseye reticle. I found this to be an easy transition from an Eotech and not needing a battery to run it was it a major selling point. I still don’t know why Eotech still is survival on old technology but Meprolight M21 sales have been going up now that everyone is finding out about them. Great article. For me..I run a Trijico tri-power. Gives me fiber optics for day time use. Tritium for night time use with nvg’s. And last battery backup to power up that baby. Do not see much on this product. Don’t know why. But I love it. It covers all the bases for reliability. Their website is pretty bad and we had a heck of time trying to find info on the product also. There is some pretty good stuff on Youtube but we’ve sold a few to UDPD and they like them. The Meprolight night sights are on most of the Upper Darby Police Departments Glock 21 so I don’t think they had much trouble approving an optic made from the same company for their AR15 rifles.